Invention of the first Corona tool, the orange clippers that forever changed the citrus industry. Corona Clipper company was formed by J. Copley, H.M. Hendrickson and Glen D. Wight. Continued company growth with strong sales in U.S. and abroad. Corona Clipper moved to 5th street location to do forging on‑site. Corona becomes a defense contractor for the U.S. government in support of WWII war effort. Moved to 6th street location where 2 new drop forge machines were installed. 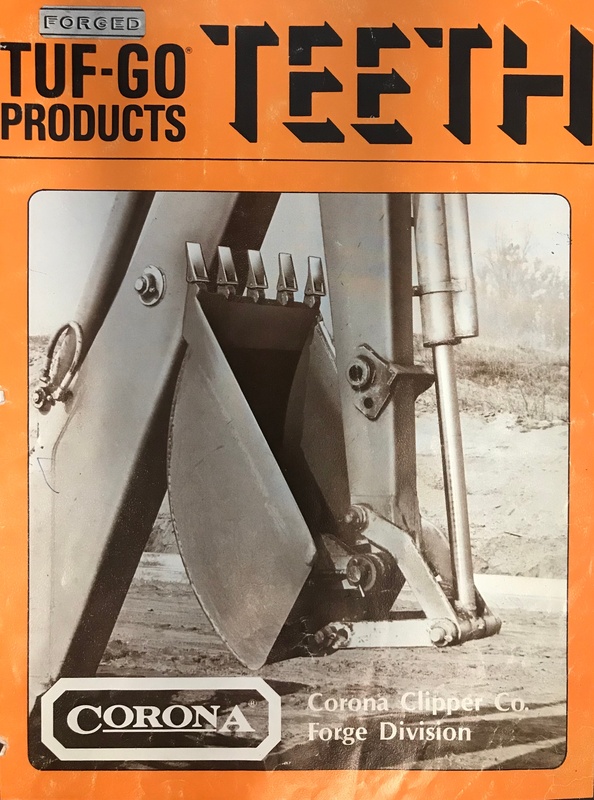 Produced Tuf-Go Teeth, heavy-duty aftermarket equipment for construction and agriculture. Published Principles of Pruning guide and established call-in hotline for tips. 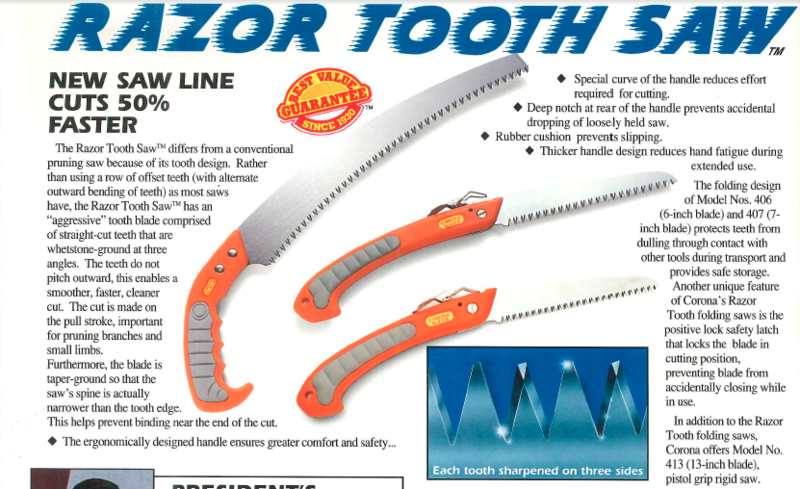 Introduced RazorTOOTH Saws® for extremely fast and efficient cuts. Introduced red comfort grip handles with better spring action. Kicked off corona cares® program: An environmentally friendly, community focused initiative. LAUNCHED THE QUICKSAW® LINE with tapered, friction-minimizing blade that cuts up to 2.5X faster than conventional saws. Introduced DualCUT™, an innovative 2 zone pruner: PowerZONE for thick branches and PrecisionZONE for controlled, precise cuts. Soft tactile comfortgel® grips implemented across hand tools, pruners and loppers. Introduced DualLINK™ patented technology to reduce effort and boost power. introduced the RaTchetCUT™ pruner, for multiple full-leverage cuts through thick branches. CORONA LAUNCHES NEW MAXFORGED BYPASS ORANGE SHEAR, FOR CLEANER CUTS, COMFORT AND MORE CONTROL.